I made accessory tied shirt for male and female. This mesh was basically extracted from female outfit of "Outdoor Retreat" GP (I tweak it a lots). Amazing pickypikachu has already done it. So this is a almost same but a bit different. 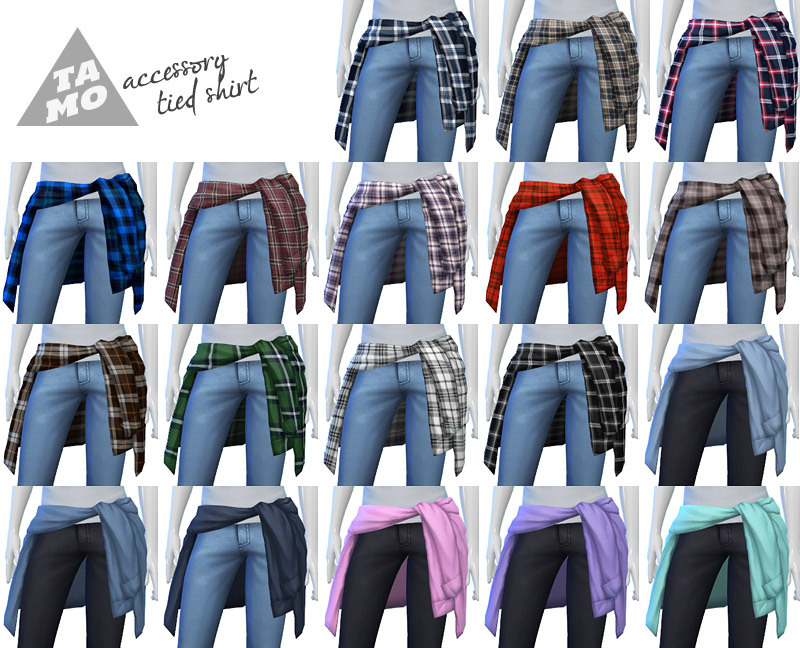 I made this for male sim and glasses sim. 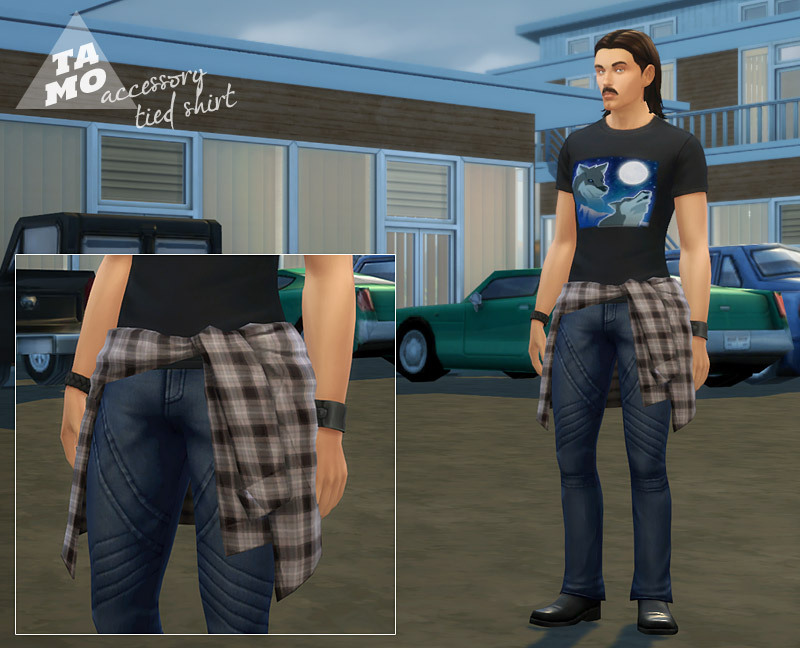 TS4 cas texture map is very limited. We can't use large space for accessories. As a last-ditch measure, I used other area (pickypikachu's tied tee is using accessory and hat area). So there is two versions for each male and female. One is using extra area of clothes texture. This means It’s able to use in combination with all glasses/accesories. But this one is override some clothes. another one is using hat texture area. This means It’s able to use in combination with all clothes, all glasses/accesories. But this one is override all hat. Please keep it in mind! And this accessory found in "ring (left index finger)", and comes with 18 colors. 📥"DOWNLOAD" opens new window, and go to or start to download from SimFileShere via AdFlay. If you have a trouble with AdFlay, please direct download from my SimFileShare folder. What is the extra and what is the hat option? Which one do you install? It's the "GTW Beanie Recolors by lightsxxx"
It won't download for me. The adfly website says after I hit "Skip Ad" it said the website wasn't available. Please Help Me! I don;t understand which file do i need in my game for the tied shirt to show up, The one who says extra or the one who one who says Hat? I see the thumbnail in CAS but it doesn't show up on my sim. It's invisible. Have I missed a step? I have long sought a shirt around the waist, and I found this, it is a brilliant creation! Thank you very much for sharing this great work! Is it possible that you can make these solid colors? like tan, white ect?